Will you need to do 1,000 sit-ups without stopping? Will you need to buy The Ab-Roller, The Ab-Coaster, and The Kruncher? Will you need to work out your Abs 7 days a week? Again, your Abs are like every other muscle. You don’t need to work out your biceps every day, or do 1,000 bicep curls or buy a weird bicep machine to work them out, so why would you need to do that for your Abs? Ever notice how ballerinas have beautiful muscular calves. How can that be? Are they doing seated calf presses at the gym? No. It’s all about stretching. 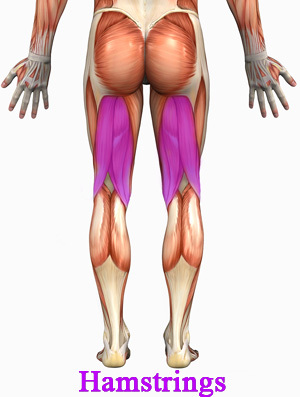 They’re stretching that muscle, increasing it’s flexibility, and increasing its potential muscular development. Limited one dimensional Ab exercises do very little for you, especially if you’re not stretching them out. Multiple exercises, hitting every part from different angles, stretching, increasing the resistance, increasing your endurance, will get you what you want. You need to increase your Stability/Muscular Strength = Can you contract your Abs and hold it for 1 minute? Can you hold a plank position for 2 minutes? Can you hold your legs up in front of you for 30 seconds? Can you do crunches on a decline bench with a weight in your hand? Work out your back muscles too, to support your front, and do lots stretching! Once again, please talk to your doctor, chiropractor, physical therapist, orthopedist or psychic if you have a bad back or any medical conditions. I don’t need you hanging from your left toe or twisting if tyou have forty-seven herniated discs. If you’ve never worked out your Abs before or have a bad back, you can start with light stretches, and moves such as these suggested in this article: https://www.zeel.com/c/strengthen-lower-back/expert-answers/good-abdominal-exercises-for-someone-who-has-bad-back-shouldn-t-do-sit-ups. Many people recommend Yoga or Tai Chi but don’t try to do anything you’re not capable of just to show off. Once your form is perfect and you’re no longer sore and you feel you need to kick it up a notch, you can start adding weights to your exercises for added resistance just like every other muscle you work out on your body. Want more definition? Use heavier weights. Dragon flags, Hanging leg raises off a pull-up bar ( I touch my toes to the bar), 3 minute planks, Ab wheel roll-outs, Kneeling cable pull downs with 180lbs, Dead lifts, Pull-ups and lots of L-seats. (Lowering my Body Fat to 8% made the biggest difference in my Abs appearance). After all your wonderful Ab exercises, finish off with some Planks and Supermans to stretch that spine in the other direction! How about you? What is your favorite Ab exercise? Will this be one of your goals for 2014? This is why I like following your blog and FB page, you are so detailed and encouraging with your post. You write to the reader in terms they would understand from the beginner and upward. You continually shows way to help a person reach their goal. Sometimes I read post and loose interest before I even reach half but you always have me reading the entire post. maybe its because I want to eat and exercise better who knows but I know its always a benefit to me when I stop by your blog. I love your posts because they are equal parts well written, filled with practice advice and encouraging. Ha HA! Thanks Keith. I hope my posts help someone!! If I have said this before I’ll say it again….I’m so fortunate to work with such motivating and inspiring women! We are constantly sharing ideas and pushing each other. This article is a great read and I hope people follow your advice. I have people come to me so often with the same problem. They work out every day but no results. When I find out what they’re eating, it’s no wonder! Thanks Christine! Thank you Jennine! I always say surround yourself with motivating supportive people. There are no doubt your tips and advice is amazing and helpful too but I want to thank you for the way you posted your article everything is detailed well-explained, excellent work.